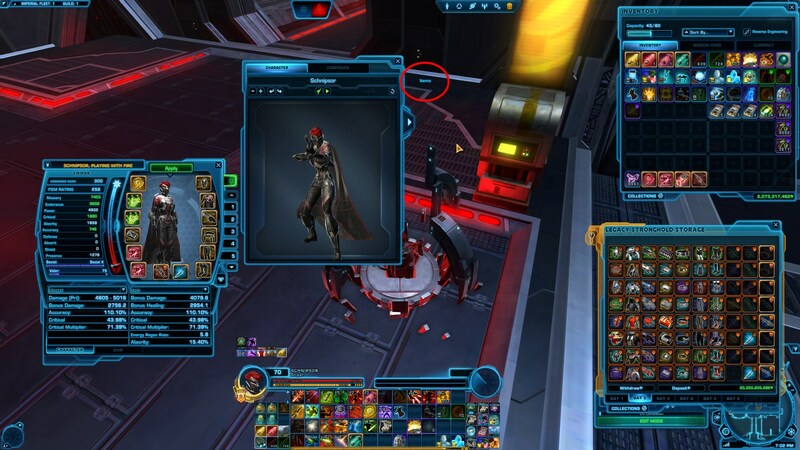 STAR WARS: The Old Republic - Preview Window Available on PTS! Window looks like it should have been in the game for 5 years already and looks really good, good job. In the 10 minutes I played with it the only thing that I'm missing most is a sound pre ... hear? Would be nice to actually hear what weapons sound like when you press the little play button before you buy an expensive blaster for example. Also the capes still look like they have been frozen in carbonite, wooden planks instead of the actual in game flappery things. If you press the play button and your character starts walking it looks even worse with the cape sticking to your feet. A mount flourish preview is also something one could expect from this new and improved window. + the weapon-movement preview is really, really cool! Now, to really test the new preview-window, what we would need is some merchants who sell mount/pets/emotes/colour modules/weapons/clothes. Ergo: the things we should test for you. Because: It’s quite difficult to test something if you don’t have the things you should test it with. 1. This text stays when collapsing the Items tab. 2. When previewing a pet, the pet isn't shown in the items tab. Start with a force-user class (I used a Jugg), and preview an Assault Cannon. Leave the AC in place. Now preview a speeder or (I guess) other mount. Now press the "draw-weapon" button. My Jugg drew her normal lightsabre and still had the AC on her back. (1) Turn your character so you fire away from the camera, obviously. Preview from the Collections interface, or visit an actual equipment vendor. Is it intended that when you preview an item that contains a dye module the item's base colours are previewed rather than the dyed colours? An overhaul of the dressing room window was long overdue. The changes are definitely going in the right direction, with a much larger preview window and more UI options. It is great that Tech classes are finally able to preview color crystals. There are a couple bugs as well as some more features I'd like to see. More issues to be added as I discover them. Players cannot preview regeneration items, emotes and moods when they are linked in chat. This only affects regeneration items, emotes and moods; other items (armor set, mounts, pets etc.) can be previewed just fine when players link them. The "play" button (to cancel current animation, to toggle running animation, to toggle shooting animation) has no tooltip when players place their mouse over it. Right now, the "play" button has three different behaviors: 1) It cancels the current emote/regeneration animation. 2) It shoots the weapon if the weapon is drawn. 3) It toggles the run animation if no weapon is drawn. However, it is confusing that this button has the same icon for all three behaviors. Please ensure that the icon dynamically changes depending on the current state (cancel icon, shoot icon, run icon). The error message "This item cannot be previewd on your characters gender" has two typos: "previewd" should be "previewed", and "characters" should be "character's". On my Scoundrel (single-handed blaster weapon, no off-hand) the shooting animation is not looping. The character shoots once, then flourishes the blaster, shoots twice more then stops. On other classes (e.g. Gunslinger) the shooting animation is looped. The buttons to zoom in/zoom out only take effect when releasing the mouse button. On the other hand, the buttons to rotate the character continue rotating while the button is pressed. Please ensure that players can continuously zoom while holding the zoom in/zoom out button pressed. It is impossible to rotate the character or move the camera left/right/up/down while a regeneration animation is playing, only zooming in/out or hitting the "Reset Position" button works. However, it is possible to rotate the character before previewing the regeneration item, in which case the character stays locked in that orientation during regeneration, and can be rotated again once the animation finishes. Please ensure that players can rotate the character during the animation. This is especially important with item's like "Fearsome Rage" which completely block the view unless players know to rotate the character beforehand. Note that the "Music Therapy Probe" is an exception to this rule; players can rotate and move their character while previewing this item. Graphical bug with "Music Therapy Probe": The disco ball is not showing up correctly, and player character is not dancing during the animation. Companions that are unlocked via an item can be previewed by previewing that item. However, this only works for companions that appear in collections. Please ensure that this also works for non-collection items, like "Illicit Holocommunicator" which unlocks Paxton Rall. It is impossible to link items from the preview window in chat. Please ensure that hitting Shift and left-clicking on items from the preview window will link those items in the chat window. On my Scoundrel, it is impossible to unequip my main hand weapon in the preview window. When I right-click on it, it is automatically copied into the offhand slot. Please ensure that it is possible to unequip the main hand. For example, you can make it so that left-click will place the main hand into the offhand slot. Alternatively, you can add drag & drop so players can drag the main hand into the offhand slot. When a player previews his currently equipped main hand weapon on his companion and then switches to the character tab, the weapon is no longer highlighted. If the player then switches back to the companion tab, the weapon is reset to the companion's default main hand weapon. Please ensure that the selection stays active when switching between tabs. Similarly, if previewing an armor item on a companion that the character currently has equipped, switching to the character panel will then remove this item from the preview. Please ensure that the item stays highlighted and is not removed. Same goes vice versa (if previewing on the character an item worn by the companion, and then switching to the companion tab). On my Scoundrel, right-clicking on my main hand weapon will not only preview that weapon on my offhand, it will also preview the weapon on my companion's main hand. When previewing a weapon, players can only see the default color crystal that is included with the weapon. They have to separately click to preview the color crystal. This is especially frustrating when inspecting weapons from other players because it is impossible to bring up the modify window from where players could preview the color crystal. Please ensure that when previewing a weapon, the currently installed color crystal is automatically copied into the color crystal slot below the weapon. The same goes for tunings. When previewing a companion customization of a companion that can only wear weapons, no armor (e.g. M1-4X Customization 1), the preview window does not show the companion's weapon, only the customization. The companion tab from the preview window is missing a slot for dyes even though dyes can be previewed on companions. Please ensure that the same dye slot from the character tab is also present on the companion tab. In the companion tab, the armor slots should be hidden if the companion cannot wear armor. Right now, they stay empty. Similarly, if the companion cannot use a weapon, the weapon slots should be hidden. When players preview some armor and then preview a companion customization, the state of the preview window is reset. It now only shows the companion customization and with the companion's default items. Please ensure that previewing a companion customization will not remove any items that players were previously previewing. When previewing a pet, hitting the "Reset Position" button will rotate the pet by 180°. Please ensure that hitting the button does not change the pet's orientation relative to the character. When previewing armors or weapons on companions that cannot wear them, players get the error message "You cannot preview equipable items on this character" and "You cannot preview weapons on this character". This is confusing because the error refers to companions, not characters. (Characters can wear items and weapons just fine). Please update the error message so it says "companion" instead of "character". Also, in addition to showing the error message, please automatically switch to the character tab and show the respective item on the character if it cannot be shown on the companion. The camera should automatically zoom out when previewing a large mount to ensure it is fully visible. It is no longer possible to switch between companions. 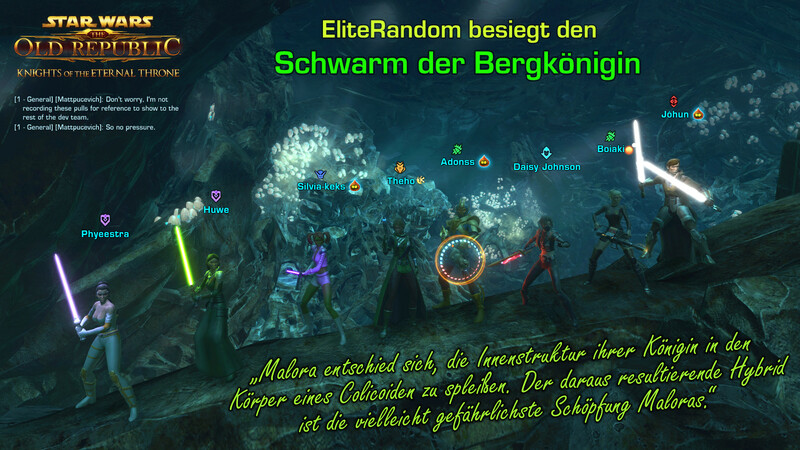 Instead, players can only preview the currently active companion. (However, by previewing a companion customization or unlock, players can preview that companion). The main issue that in order to switch to a different companion, players need to close the preview window, summon that companion and open the preview window again. This causes the preview window to forget its state, i.e. the items have reset and players will need to once again click on any items that their were previously previewing. Please add a drop down menu so we can preview any of our companions without having to close the preview window. Alternatively, if the preview window is open and players are summoning a different companion, have the preview window automatically switch to that companion. This way, players can preview another companion without having to close the preview window which should preserve the state. When previewing small decorations, the zoom is buggy: At first, the camera is zoomed in but when you zoom out even a little bit, the decoration is now very small and when trying to zoom back in, you can never reach the original zoom level. Instead, you have to preview a different decoration and then go back to the original decoration so it is large again. When previewing regeneration items and emotes, there should be a cast bar so players know how long the animation is playing. Alternatively, add a new slot to the items which has the last used emote or regeneration item. That way, players can restart the animation whenever they want by clicking on it. Also, instead of a cast bar, you could put an animation on the icon, similar to when an ability is on cooldown, but in this case to show the duration of the animation. After previewing a mood (facial expression), it is impossible to reset the mood outside of closing the preview window. Since the mood is a constant effect and not a temporary animation like emotes, it must also be shown under items so that players can right-click on it or hit "Reset items" to get rid of it. The preview window only shows the armor set from a player's currently active outfit. Players who want to preview another outfit will have to close the preview window, activate another outfit and then reopen the preview window, which loses all state. Please add a drop down menu to switch to a different outfit. Alternatively, automatically have the preview window switch to a different outfit if a player activates that outfit in his character screen. That way, players don't have to close and reopen the preview window. Please add drag & drop so that players can move items from the inventory into the preview window without having to hit Ctrl and left-click. That way, they have more control over previewing weapons, color crystals and tunings, especially when they want to have different items in main and offhand. It is only possible to preview dyes for the whole armor set, not for individual pieces. Please ensure that each armor piece has its own dye slot. Also, please add drag & drop so that players can drag a dye onto a specific item in the preview window to dye it. It is impossible to preview items from a player's own outfit in the character screen (or another player's outfit in the inspect window). When pressing Ctrl and left-clicking, nothing happens. Please ensure that the item can be previewed. Similarly, it should be possible to post those items in chat. 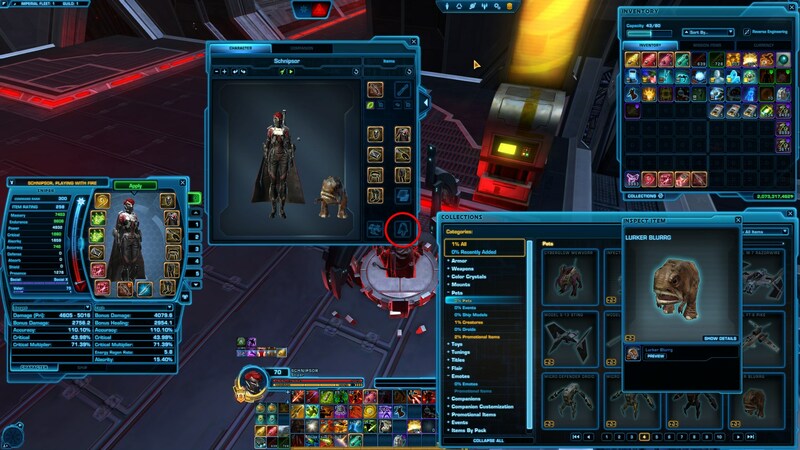 On the character screen, there are two options to toggle dark side corruption and to toggle dynamic mount colors. Please add these options to the preview window as well. Many items cannot be previewed, e.g. portable vendors or trainers, the Party Bomb, Banners, Crate-O-Matic etc. It would be great if those items can get a preview button as well. Just having a quick squizz now. The one thing that really stands out to me is if I have a chest piece already stamped with a dye, and I preview it, it doesn't show in the preview, it defaults the chest pieces' original colour making the system pretty useless if you're trying out new looks (but like the chest piece as is). I would have to get the same dye I have in my chest piece and have it separate in my inventory and then add it to the preview window in order to properly try out looks for my characters (which is pretty annoying). But if you're starting from scratch to come up with a new look, the layout/setup works really well. I like the way rotating works and that you can draw out and animate your weapons. - If previewing dual wielding blaster pistols, only one of them 'shoots' when you animate the preview. I'll give it a more thorough look later! Looks a lot better than what we have now. I like the animations your character does when you add a piece on. I would like to see sound effects added to weapons. And I find the play button a little confusing, especially with mounts. It seems you can see flourishes and stuff but it just goes through all the different possible animations and it's not super clear what is what. Also sometimes I expected it to go to the next animation but it'd just reset to the one I was just doing until I clicked it some more. It should either say what the animation is (if it's a flourish, if it's the idle animation, etc.) or have it be a dropdown menu or something that you select from.